The old OEM battery in my Maserati was failing in very cold weather. This was an ideal replacement (OEM is varta). I would have preferred if it was black but otherwise it does the job. Price from Tayna was great and Saturday delivery was honoured despite ordering on the Friday. Excellent product, delivered next day. Measured battery capacity straight out of the box was more than 200 CCA higher than the rated capacity. The battery has now been in the car for a few weeks and has cured all the cremlins that car used to have. Great service, knowledgeable and very quick delivery, especially impressive as week before Christmas! Battery works great and car hasn’t dropped voltage since I installed it. 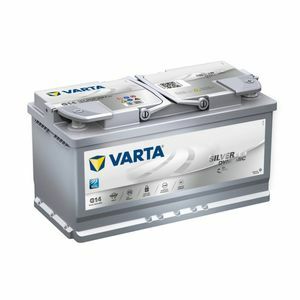 Fantastic all round - quality battery at very competitive (brilliant) price, delivered in exceptional time and with excellent communication of order and delivery process. Would highly recommend. I will be happy when the delivery doesn't come so late. Tip Top Service in all aspects. Excellent service. I bought the wrong battery for the car, my fault. I phoned Tayna, spoke to Lawrence who advised me regarding re packaging and collection. The correct battery was delivered the next day and the returning battery collected. Good price, Fast delivery. Prompt replies. Excellent thank you. Needed 2 to replace habitation batteries in our motorhome. Ordered them in the afternoon and Tayna delivered them early the next morning. Excellent service from Tayna and batteries are performing well. Like for like replacement for the OEM Audi battery, which has performed faultlessly since installation.